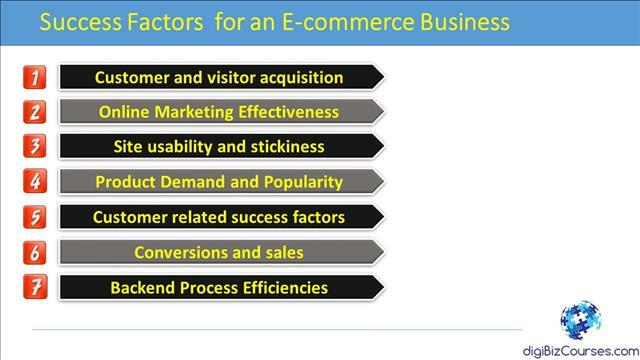 This video tutorial and course on digital business reviews the seven (7) factors for an e-commerce business to be successful. This tutorial covers seven key factors that are crucial for the success of an e-commerce business. Whether you are considering and planning to start a new e-commerce business or already have one, a review of these 7 strategies can help you to ensure that you are investing your time, effort, and dollars in the right areas to get a firm footing in this very competitive market. So, let’s get started. 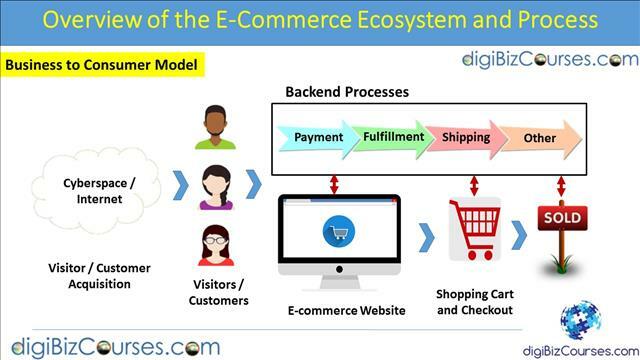 Before we get into the discussion of the critical strategies behind the success of an e-commerce business, let’s get an overview of the e-commerce ecosystem first. This overview architecture can then help us to place the strategies in the right context. 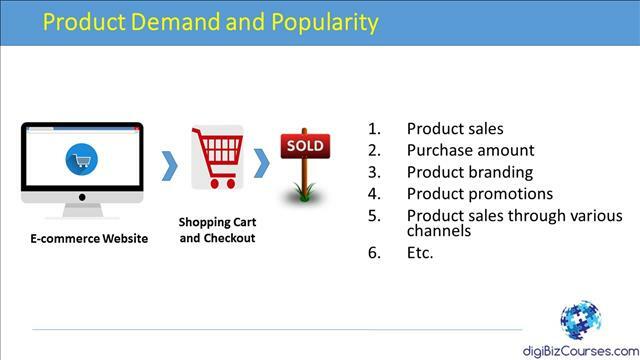 Also, although there are a number of e-commerce models such as business to business (or B2B), business to government (B2G), and others, we will focus primarily on Business to Consumer (or B2C), primarily because it’s the most commonly used form of an e-commerce business model. Amazon.com, Macys.com are examples of a B2C model and Alibaba.com is an example of a B2B site where businesses buy from each other. So, in the B2C model online retailers or e-commerce provides establish a website accessible on the Internet and consumers access the site over the Internet. 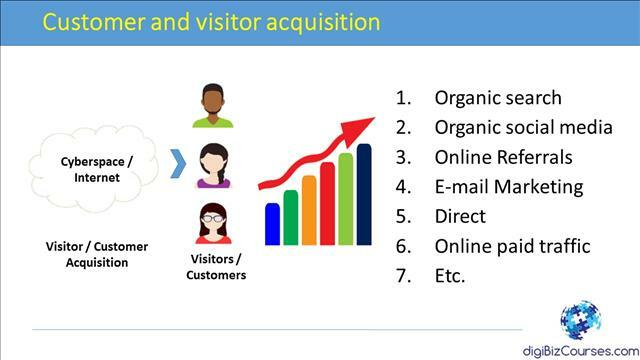 One of the challenges for ecommerce retailers is to acquire visitors and customers and have them direct to their site. This is more of a challenge these days as the Internet is packed with numerous online retailers offering various types of products and services. So, retailers use online marketing and other techniques to acquire visitors and to turn them into customers. Once visitors visit an e-commerce website, they get to browse the various products and services that are showcased on the retailer’s e-commerce website. They can also search and engage with the site in various ways. Subsequent to that many of the backend processes get triggered. 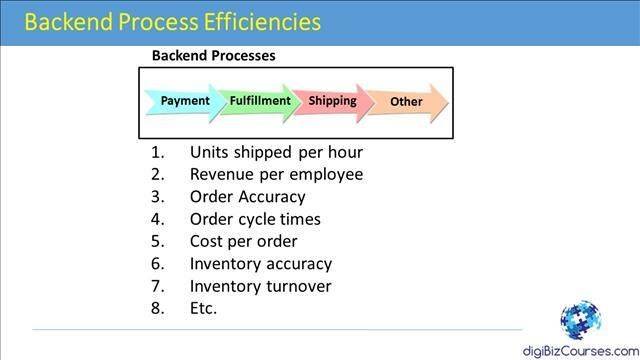 So, the backend processes include processes such as those of online payment, fulfillment, shipping, and others. Now, let’s review each of these in more detail. Organic search refers to visitors finding a website through search engines and clicking on the results in the free results section and not in the sponsored ads section. To make ones e-commerce site visible on the Internet search engines, e-commerce retailers work on various Search Engine Optimization or SEO techniques. You can review a tutorial on SEO on the digibizcourses.com website. Another method to direct traffic to one’s e-commerce website is through social media. Due to the popularity of social media over the past few years, a number of online retailers among other businesses have established their presence on social media channels such as Facebook and Twitter, and they use that medium to drive their social media visitors to their e-commerce website. E-commerce websites also get traffic through through various links that may be posted on other sites on the Internet. So, these referrals from other sites are an important source of traffic for e-commerce sites. A popularity of one’s site thus helps in the dissemination of one’s links to other sites where other sites talk about ones e-commerce site. For example, it’s very common to see Amazon.com’s links on many sites that results in visitors of those websites clicking on links and getting redirected to Amazon.com. E-mail marketing is a very important tool that online businesses use to regularly communicate with their customers. Online retailers keep their customers and other subscribers informed on their products and services regularly though e-mail and that in turn brings in those customers and subscribers to the e-commerce website. Once a site gets popular and known, visitors and customers can visit an e-commerce site directly by typing in the URL in their web browsers. This is also a major source of traffic for many of the e-commerce sites. Online paid traffic is traffic that retailers get by paying for clicks and impressions on search engines and other ad platforms. Many retailers usually have a portion of their marketing budget reserved for online traffic and this traffic can constitute a significant portion of an e-commerce website’s traffic. This is discussed more in the next strategy. Measuring PPC (Pay Per Click) and Other Campaigns and related data – Not everyone focuses on monitoring metrics related to their marketing activities but doing so is important to ensure making them effective over time. Another one is about working on site’s branding activities and working to increase the popularity of the site on the Internet and amongst various audiences so it can result in more referral traffic thus saving on marketing activities over time. 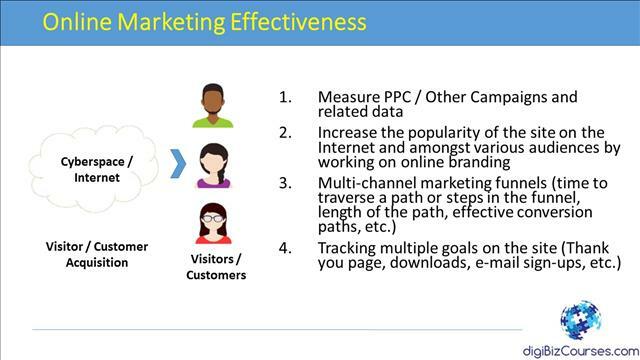 A site’s online marketing effectiveness can also be increased by setting up multiple multi-channel marketing funnels and measuring the effectiveness of those funnels to make them more effective. For example, one can measure time to traverse a funnel path or steps in the funnel, length of the path, effective conversion paths, etc. Tweaking the marketing funnels on a site obviously means tweaking the navigation structure of the site. Similarly, an e-commerce site can track multiple goals on the site and their effectiveness such as tracking the thank you page, downloads of products, e-mail sign-ups, etc. 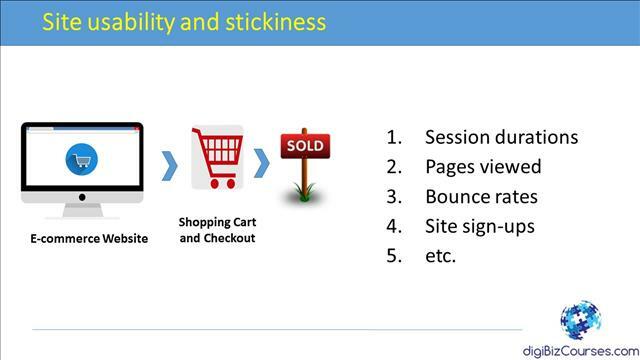 Another important strategy has to do with site’s usability and stickiness. This refers to ensuring that not only a site is usable and stable but manages to retain users and visitors on the site thus increasing the likelihood of visiting other pages of the site that in turn can lead to increasing conversions on the site. This can be done by tracking metrics such as session duration length, number of pages viewed, bounce rates, which has to do with visitors leaving the site as soon as they visit the site and that obviously is an indicator of poor performance, and number of site sign-ups etc. Ensuring that the products on one’s e-commerce site are popular and in demand is an essential pre-requisite for the success of an e-commerce site. No matter how much traffic you are able to bring to a site, if the products listed on your site are not popular and are not in high demand, it’s unlikely that you will make sales. Therefore, keeping an eye on the popularity and demand of your products is quite essential. You can do that by tracking metrics such as product sales, purchase amount for each product, product branding, product sales through various channels etc. When these and related metrics are tracked over time, it can give you an indication of the demand of your products that in turn is tied to the success of your e-commerce business. Ensuring that customers are not only satisfied with your products but are also happy overall with dealing with your e-commerce business is an important strategy. This requires that the e-commerce business track and monitor various metrics related to its customers to ensure providing an excellent customer experience. 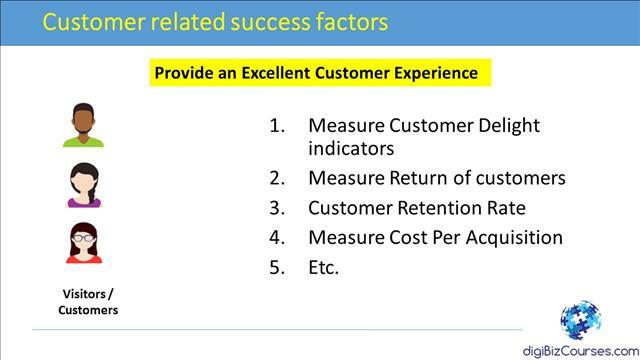 These indicators include measuring customer delight indicators, measuring the number of customers that return to the site, customer retention rate, measuring cost of acquisitions per customer, and others. This strategy ensures that a business is constantly selling and making revenue through e-commerce site conversion and sales. It’s common sense that no matter how successful an e-commerce site is but if it’s not making enough revenue to be profitable then it’s not going to continue for a long time. 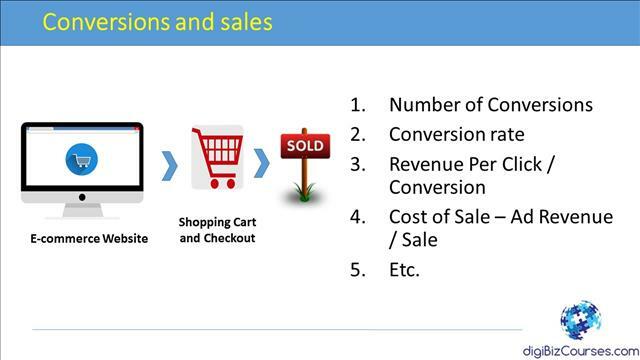 Indicators that one can measure to track sales and conversions include Number of Conversions, Conversion rate, Revenue Per Click / Conversion, Cost of Sale – Ad Revenue / Sale, Etc. To conclude, let’s review three key lessons that are applicable to the success of any business. The first one is to ensure that you select the right metrics that are relevant for the success of your business and then monitor them regularly. Not doing so won’t give you any indication on where your business is heading. When selecting those metrics, ensure that those metrics are aligned to the goals and objectives of your business. Second, always ensure that your business is growing because without growth comes stagnation and that in turn leads to the downfall of a business. 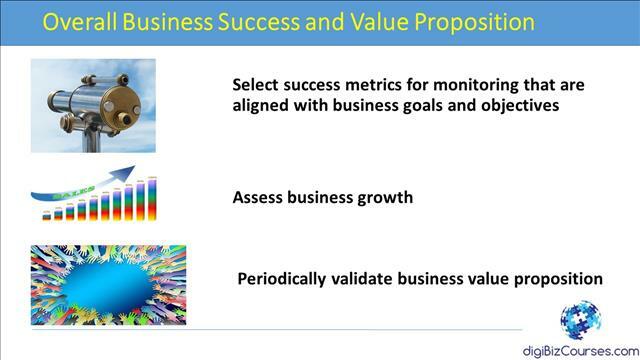 Finally, ensure that you periodically validate your business value proposition. This means assessing whether there is still demand for your products and services and that your business still provides differentiated value to be able to compete in the marketplace.